Our next tattooed poet is Jeevika Verma (@_jeevika), who generously shared several tattoos with us. "I wrote a poem titled 'dark, darker' in Rome. It was the summer of 2016, and I was part of an intensive one-month creative writing program organized by the University of Washington. I’d spent the month thinking deeply about what it meant to delve deeper into the unknown, and how the truth often exists in what cannot be seen. Plus, I was one of the only POC in my program, and I was constantly aware of how my brownness played into my relationship with my classmates, and my relationship with Europe. I got this tattoo to commemorate my last day in Rome." Surrounded by 'this,' are all the the things that help me remember who I am. A full moon rules my zodiac sign, in Cancer. A prickly pear is my soul-plant. Two hands open like wings, together, but each a separate entity." She credited Randi Ftizpatrick (@probmchild) at Osprey Tattoo (@ospreytattoo) in Seattle with the hands, MKNZ (@ruffenough) from Valentine's Tattoo (@valentinestattoo) in Seattle with the cactus, and Gia (@giactattoo) at Fatty's Tattoos (@fattystattoosandpiercings) in Washington, DC, with the moon tattoo. Jeevika says we "can also find poet Nikesh Murali's beautiful reading of [the] poem here." 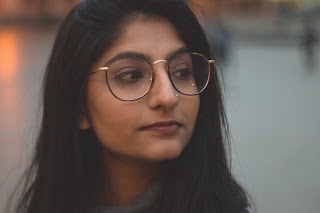 Jeevika Verma is a poet from India with a passion for radical honesty. She graduated from the University of Washington in December 2016 with a B.A. in Creative Writing. Before college, she lived in Cameroon (Yaoundé), which is where she founded her own creative-literary journal Creative Chaos. Her work has been featured in NPR, Kajal Magazine, Sentinel Literary Quarterly, Cleaver Magazine, Susie Magazine, and more. She also curated and edited the “Loving” Anthology, as well as five short zines, titled Turns, Cuts, Grate, Long Distance Newsletters, and Scale(s). Find Jeevika’s complete portfolio at jeevikav.com. Thanks to Jeevika Verma for her contribution to the Tattooed Poets Project on Tattoosday!